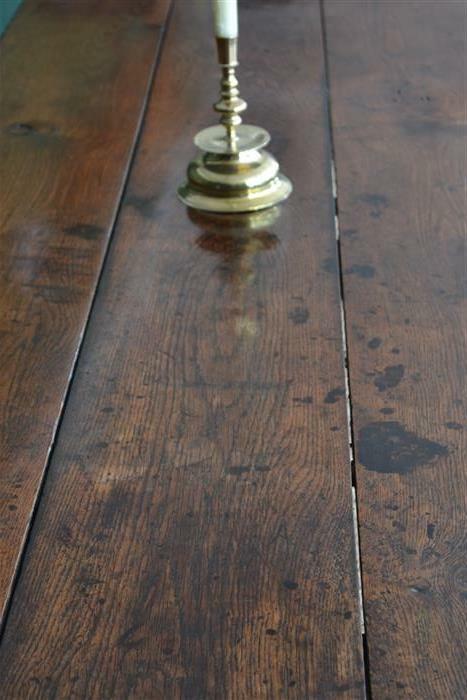 Suffolk House Antiques | A superb late 17th century Welsh farmhouse table. 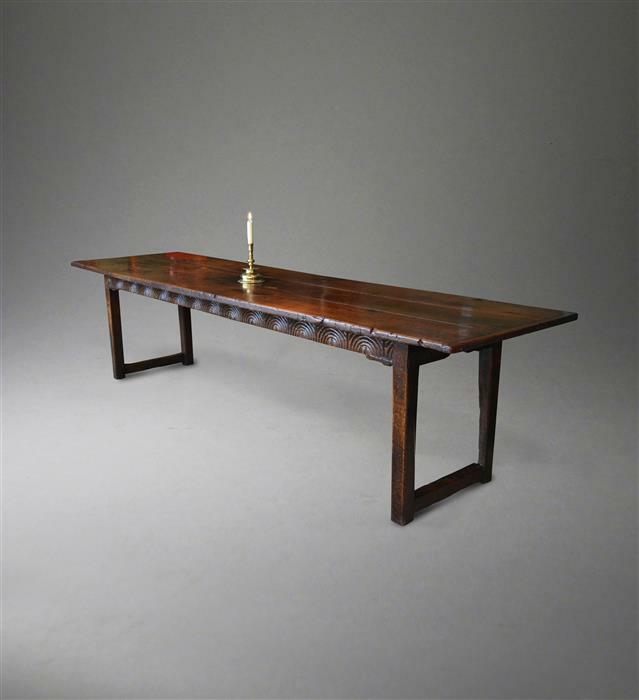 A SUPERB LATE 17TH CENTURY WELSH FARMHOUSE TABLE. Just short of ten feet long, this farmhouse refectory table has everything going for it including stunning colour and being very practical to sit at. The three plank cleated end top lifts off and it has lunette carved rails on three sides and square section chamfered edge legs. It has the inventory brand M IC. Further details can be found under "Tables". The price is £7850 which is considerable less than it was sold for a few years ago.